Over a year and a half after the August 2017 flood, which caused extensive damages to homes and other buildings, funds will be provided to 86 of the 253 persons who filed claims for compensation with the Department of Disaster Management. The flooding was as a result of about 17 hours of rainfall, which produced 14.78 inches of rain. 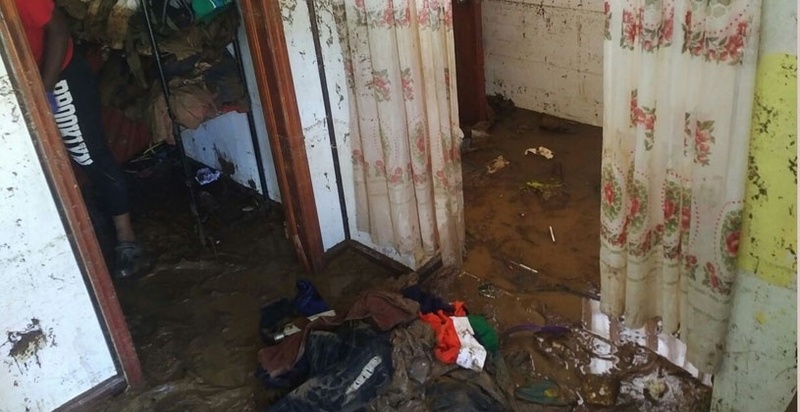 It was related that the total damage that resulted from the flood was over $7.6 million. The compensation will be in the form of one off payments by the Government, a missive indicated. In explaining the time taken to reach to the point where they will be making payments, Mr. Forbes said that an extensive analysis had to be done to verify the validity of claims, and to avoid duplication in payments. “This process took some time as persons had to be located, especially those who had been displaced, and information on their claims had to be verified. However, I can confirm that the process was followed in keeping with the policy and persons are now receiving grants,” he stated. After the flood, persons were offered support in the form of food, essential appliance, furniture and clothing, through a partnership between the Government and Non-Governmental Organisations (NGO). The compensation provided by the Government is to help persons meet their basic needs and assist them in recouping the expenses incurred during their recovery process. “Persons are required to assess their living conditions and make every effort to reduce their risk and to demonstrate such if they are to be eligible for future claims,” the missive added.